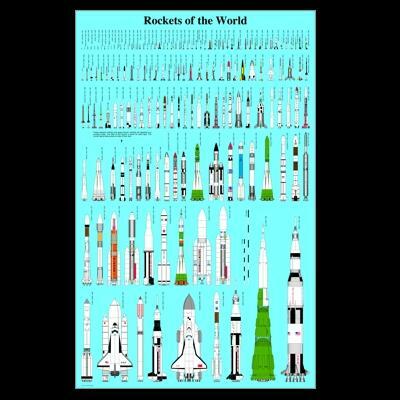 Big 22" x 34" full-color poster from Peter Alway showing the vehicles from Rockets of the World all in relative size. The perfect compliment to the book! Comes rolled.